When we plan out travel, what is the first thing we think about, the food of course. No matter where you are traveling to you always want to try out the different foods of that country. This is why I have put together a list of restaurants you must try out on your trip to St.Lucia. Most of them are locally made, so get ready to have your taste buds tingling. Flavors of the Grill is located on the north of the island of St.Lucia, in the town of Gros Islet. It is known for some of the best local authentic food on the island. The lobsters at this restaurant are to die for so make sure you visit from March 1st to August 1st, as that is the season for lobsters. If you are at Gros Islet Friday Night Street Party, this is definitely the spot you want to enjoy some fresh food. With great service, good atmosphere, and mouth-watering food, what more could you ask for? The Buzz Seafood and Grill Restaurant is located in the Rodney Bay Marina. It is one of the best restaurants you must visit on the island of St.Lucia. The name says it all, its a buzz for seafood. Mouthwatering flavor, Caribbean spices, great ambiance and attentive staff will keep you coming back for more. It is a great place for a nice night out with a group of friends if you just want a chill evening. To top it all off there is live music on certain nights. It is definitely a place you should check out on your trip to St.Lucia. The Mango Tree Restaurant, located in the town of Soufriere is one of the best restaurants you must visit on your trip to St.Lucia. Why you may ask, well first, it is attached to one of the best resorts on the island, The Stonefield Estate Resort. They accommodate you if are vegetarian, so get ready to have your taste buds screaming. Not only do you get great food but you also get to enjoy an amazing view of Gros Piton. Most excursions are done in Soufriere, so if you are coming from an island adventure The Mango Tree Restaurant would be the perfect stop for a delicious lunch. Out and about in St.Lucia and you need a quick meal for you and the kids, Wingz and Tingz would be the right spot for you. Traveling with the whole family can get expensive, especially when there are kids involved. Wingz and Tingz provide fast and great customer service with amazing wings and a price that will not break the bank. So if you are around Rodney Bay in St. Lucia stop by for a quick bite, you will not be disappointed. Ti Banane Resturant is located in Gros Islet, at Coco Palm Resort. If you are staying around Rodney Bay, this is a restaurant you must try out on your trip to St.Lucia. Having breakfast at Ti Banane is a must, with their array of local juices, and breakfast buffet style. Be aware of the cocktails, they are so good they will make you want to try them all. With delicious food, great ambiance and amazing staff, the Ti Banane restaurant will keep you coming back for more. The Naked Fisherman is located in Cap Estate just below Cap Maison. It is known as a hidden gem on the island because it is quite a walk to get to but once you get there, you will not be disappointed. Being right on the beach the seafood from this restaurant taste like it came from the sea to your plate, sooo fresh. The ambiance of the place is so great that meeting new people there becomes so easy, as everyone is in a great mood. The prices are a bit up there but for the food, service, and experience, it is definitely a restaurant worth trying on your trip to St.Lucia. Please note that this restaurant is closed until October 8th, 2018. The Golden Taste Resturant is an authentically local restaurant that is located in Gros Islet. The food is always made fresh and the flavors are something to talk about. Their best dishes are usually the lobster dishes, or their garlic shrimp and ribs. The red snapper is also something that is really popular on their menu. This is one of the best restaurants to try on your trip to St.Lucia especially before Gros Islet Friday Night Jump Up. Being an island that is part of the West Indies, there will always have a taste of Indian cuisine. Spice of India is located in Rodney Bay, so if you are doing a little midday shopping this is a restaurant you must visit on your trip to St.Lucia. It has the best authentic Indian food on the island said Toronto food critic Joanna Sable. With their phenomenal service and their great ambiance, it feels like you are right at home. If you are staying on the South side of the island Martha’s Table is a restaurant you must visit whilst on your trip to St.Lucia. It is just a short walk from Sugar Beach Viceroy. If you are looking for something more local you don’t have to pay to much for. Martha is known to make some of the simplest foods taste like that $100 steak. This is a great restaurant if you are looking for a quick inexpensive meal after your excursion on the beautiful island of St.Lucia. There are also vegetarian options so no one feels left out. There is something about chocolate that puts everyone in a good mood. Boucan Restuarant will give you that same feeling of pure happiness. Located in Soufriere at the Hotel Chocolat, mostly all their meals are made with a hint of chocolate. Eating at this restaurant, you can expect a 5-star meal, best food for your dollar. Their desserts are top rated, being that it is a chocolate restaurant. If you are looking for a restaurant to enjoy a romantic evening, this could be it, as it is an adults-only resort, with the exception of one day a week where they allow families for dinner. This could be the highlight of your vacation in St.Lucia, amazing view of the pitons, great food, and phenomenal service, I say take the dive and go for it. Bamboo Resturant is located in the town of Soufriere, a great restaurant to try out on your trip to St.Lucia. The food and the ambiance at this place make you feel like it was made with love. The best food for great prices and a great rainforest view. The different Caribbean flavors that come together with their creole fish, bbq chicken makes you want to overeat. The coconut cake is a must have for dessert, so be sure to save some room for that. These are some of the Best Restaurants on the island of St.Lucia that we think you must try. Let us know what you think, and if you try out any other local places in St.Lucia, please feel free to let us know about your experience. Also feel free to take advantage of the Dine Around St.Lucia program, where it allows guest to enjoy flavourful meals at attractive prices at 18 independent restaurants and hotels. 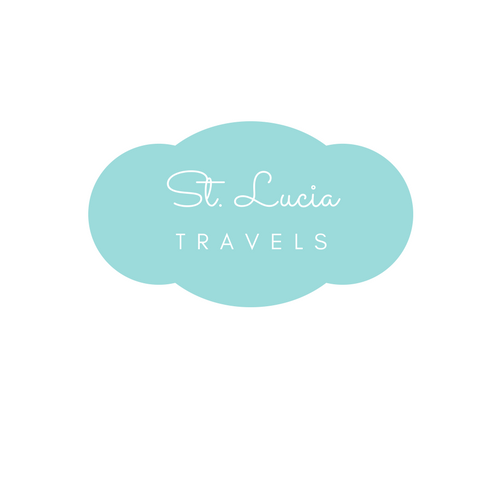 Can’t wait to hear from you guys who love St.Lucia and their cuisines as much as we do!! !